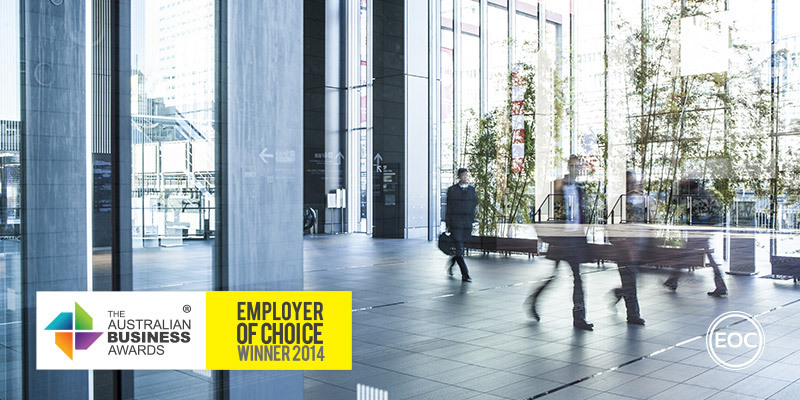 Byrons has been recognised as an Employer of Choice in The Australian Business Awards 2014. Founded in 1954, Byrons is one of the largest suburban firms of Chartered Accountants in Australia. With nine partners and a skilled team, Byrons perceives its staff to be the core to its 60 years of success. A commitment to creating a family-like working environment influences the firm’s approach to recruitment, education, recognition and remuneration. Byrons actively pursues the most diverse employees through staff recommendations and various recruitment agencies. Valuing further development and training, the firm has invested over $71,000 in training and development and offers to pay for its employees CA or CPA in full and supports their undergraduate students in providing them with study and exam leave. To build a culture as an employee driven firm, annual performance reviews are coupled with team bonding exercises, birthday celebrations, Christmas parties, BBQ days, monthly staff meetings and various other events that instill the family unit culture. Acknowledging that remuneration alone is not enough, all partners email their team members as they see them excel, as it’s imperative that all employees feel appreciated. It is a testament to the firms commitment to career progression and employee satisfaction that a majority of Byron’s senior staff and partners originally started out as junior accountants and more than 70 % of employees have been working at Byrons for more than five years – well over the industry average.